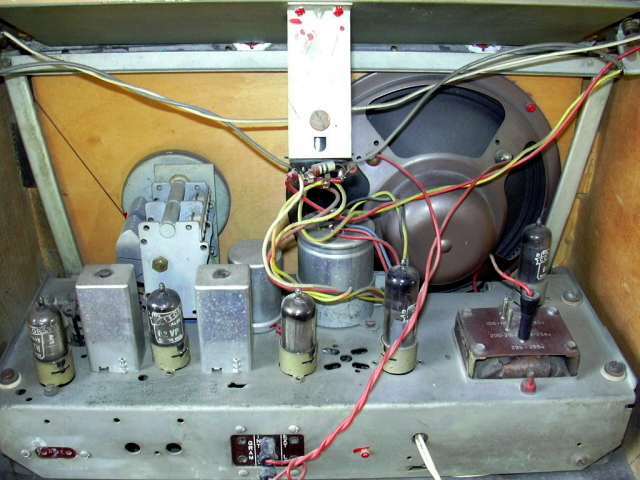 The chassis looks very similar to those used in the 501/520 series, except the output transformer and smoothing electrolytic are in different positions. The circuit design is very similar except for the extra wavebands and the 'magic eye'. 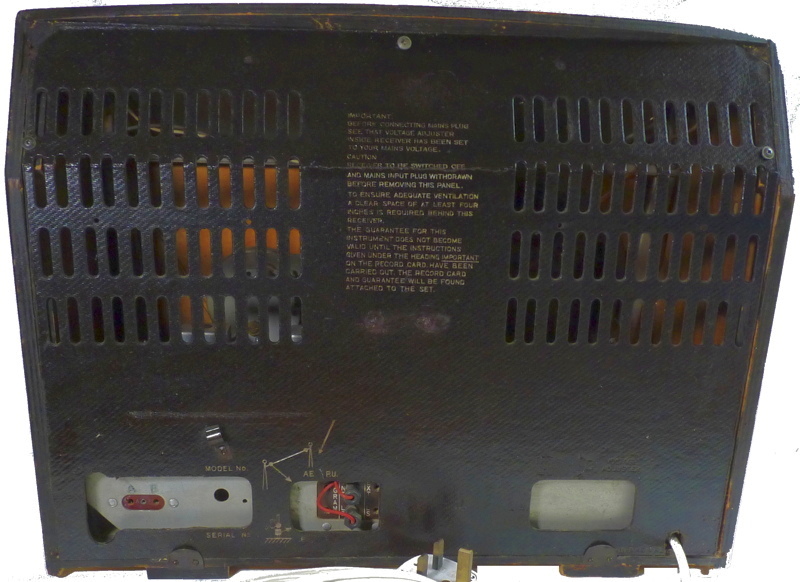 The 494/501/520 series used three different types of loudspeaker over their five year production run, and the type in this set was fitted in the 501/520 series between 1952-54. I have been unable to ascertain the model number of this radio. Within the 500-520 range there are several which were not assigned to sets made for UK market, which might be assigned to export models only. The Newnes and Trader sheets do not generally cover these export versions. The Newnes, for example, list no Cossor set made between 1949-54 with 6 short wave bands. The white knobs used are the same design as used on most of the 494/500/501/520 series (and the Pye 19D and T19D) apart from the colour. 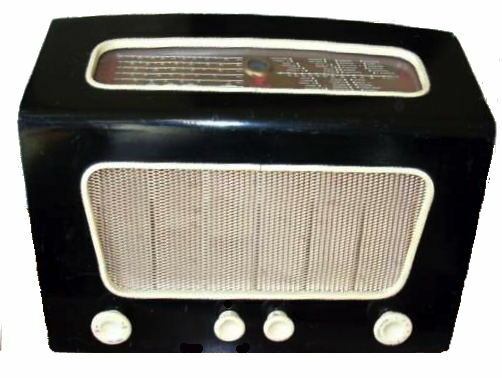 I bought this radio in an antique shop sometime during the mid 1980's as it seemed unusual. It did work but had no back. More recently I decided to fabricate one from one removed from a Pye Fenman by reducing the width, scoring, bending and reinforcing the bend with several applications of PVA adhesive. Although the set still worked on medium wave it was quite silent on the short wavebands and had an unacceptable hum. I replaced the electrolytic smoothing capacitors by cutting open the aluminium can and replacing the internals with two axial ones. A couple of other capacitors were also replaced. I discovered by touching my aerial lead on to the trimming capacitors that the short wavebands came to life and this lead me to discover that one wire to the wave change switch was making poor connection, it actually seems that this might have been a fault right from the day of manufacture. Interior, the cylindrical device is the speaker transformer.